Johnson, Feigley, Newton & Brand, LLP provides a wide range of services to individuals and businesses in a variety of industries. We strive to meet each client's specific needs in planning for the future and achieving their goals in an ever-changing financial and regulatory environment. At Johnson, Feigley, Newton & Brand, LLP, we guide our clients through a full range of tax planning and preparation decisions with strategies that minimize your tax liabilities, maximize your cash flow and keep you on track to your financial goals. Our expertise, experience, analysis and thorough research allow us to optimize financial opportunities to be found in existing as well as recently altered tax laws. We are knowledgeable and up to date on the tax laws and can make sense of your receipts, bills and notices. From start-ups to established enterprises, businesses rely on accurate and insightful financial information in order to maintain profitability and capitalize on new opportunities. Johnson, Feigley, Newton & Brand, LLP's accounting services steer you closer to these goals with accurate record-keeping and reporting as well as support on financial issues such as initial accounting system setup, cost-containment, tax planning, investments, and employee benefit and profit-sharing plans. At Johnson, Feigley, Newton & Brand, LLP, we focus on building close client relationships that add long-term value. This includes assuring the solidity of financial records, evaluating financial procedures and working to produce strategies that help our clients face the myriad challenges of business planning and execution. Our clients benefit from objective analysis to assist in controlling costs, increasing efficiency, and implementing new technologies and procedures that take advantage of changes in the marketplace, accounting standards, and tax law. Our assurance services will improve information quality or its context, meaning more success for your business. Johnson, Feigley, Newton & Brand, LLP's financial statement services comprise all three levels of assurance depending on your company's needs. Audits offer the highest level of assurance to third parties, and include in-depth examination and confirmation of account balances, inventories, and selected transactions. We perform audits for you to remove errors we detect, ascertaining the validity and reliability of your information. Reviews provide limited assurance to outside interests and involve inquiries and analytical procedures that provide review evidence regarding financial statement matters and identify any items requiring further analysis. We perform reviews to provide their are no material modifications that need to be made to your financial statements for them to be presented in accordance with the appropriate financial reporting framework. Effective estate and trust planning can ensure financial security for loved ones. For businesses, it can maintain a smooth succession of ownership. Johnson, Feigley, Newton & Brand, LLP's role is to help you navigate the complex and shifting tax laws to facilitate the transfer of assets and minimize the tax liability of your beneficiaries. Everyone should have a well-thought-out plan as to how to distribute the assets left in one's estate so as to avoid complications and to be sure that the individual’s wishes are followed. Having your taxes and estate thoroughly and carefully planned will ensure that your loved ones don't have any complications to deal with during a time of loss. Johnson, Feigley, Newton & Brand, LLP litigation support and forensic accounting services can be employed in a wide range of situations, including commercial litigation, financial investigations, business valuations, business and marital dissolutions, and bankruptcies. These services can involve quantification of economic loss or damages, analysis of financial records, and fraud and theft investigation. Financial and personal records are often vast and confusing to sort through. With our professional training in this matter, we can make sense of these records and transactions and get to your bottom line. Accurate record-keeping is essential to a successful business yet can also be complicated and time consuming. 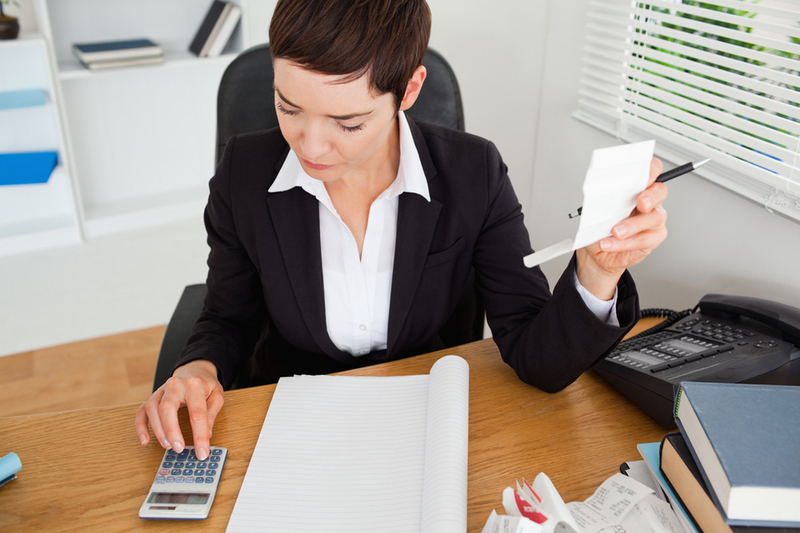 Johnson, Feigley, Newton & Brand, LLP can help you with the organization and day-to-day tasks of bookkeeping so that you can focus on your core business. Your business entity has a large impact on your taxes and other liabilities. From your company's inception through its growth and development, Johnson, Feigley, Newton & Brand, LLP can advise you on choosing an entity type and later restructuring if advantageous. With our knowledge and expertise, you will always be receiving the most advantageous entity type for the functions your business performs. As technologies rapidly advance, companies increasingly need to update their computer systems. Johnson, Feigley, Newton & Brand, LLP can audit your system competencies and gauge upgrade needs as well as provide support in choosing and implementing new hardware or network systems. As experts in this field, we can put your computer problems at bay as well as improve your computer system's performance taking into consideration any budget you may have. Johnson, Feigley, Newton & Brand, LLP's payroll services can help you reduce the time spent on administration through developing and implementing a computerized payroll system that will facilitate processing, timely payment and preparation of tax returns. Good cash management can improve a company's liquidity, reduce costs, and increase profitability. Johnson, Feigley, Newton & Brand, LLP can help you maintain optimal cash flow levels by tracking sources and uses, forecasting, and budgeting accordingly. To a business entity, cash flow is something that can make or break the business' ability to survive. We can help you analyze your spending, re-balance your budget and/or debts for an optimal cash flow to support your business' success. This balance plan would be revisited if and when there were any major changes in your business structure to ensure that you are operating at an optimal level. With our help and guidance, you will always be on top of your finances and ready for the future. No one can predict the future perfectly, but we can all benefit from planning for it. Johnson, Feigley, Newton & Brand, LLP combines expertise and experience with a gained understanding of your business to produce financial projections that can help you manage your business plan and spending. Forecasting for the future is imperative to your company's success. We make it a point to keep current with market trends and updates so that your business can be prepared for what is to come. Depending on your needs, our work can range from top-level reports to detailed financial models. The range of needs for valuing businesses continues to widen, and Johnson, Feigley, Newton & Brand, LLP can provide in-depth analysis to help you identify and analyze the factors that drive the value of your company or one in which you have an interest. Uses for this service include estate planning and compliance, buying and selling businesses, divorce matters, family limited partnerships and ESOPs. There are so many factors that contribute to the perceived value of a business. Our expert help can help you evaluate entities that you have an interest in and guide you towards making business decisions that you feel confident with. Business transactions and transitions are complicated affairs, and whether you're buying, selling, or considering a potential merger, Johnson, Feigley, Newton & Brand, LLP can provide professional know-how to help you successfully structure and negotiate the deal. Johnson, Feigley, Newton & Brand, LLP employs careful analysis and due diligence to determine a fair asking price, pinpoint the most favorable tax structures, evaluate financial and cash flow impact, and assess compatible business functions and tactics. Expanding or contracting your business is a huge undertaking. With our expert advice, you can make the right business decisions for your business for optimum success. Whether your needs are corporate or personal, Johnson, Feigley, Newton & Brand, LLP's professionals can assist you in sorting out the different options available for debt management and financing that will lower your payments and/or reduce the total amount of interest paid. Re-balancing your debts can also result in tax deduction savings. Even if you are able to handle the payments and the amounts of your current debts, our expertise may be able to save you money and/or lower your payments. Johnson, Feigley, Newton & Brand, LLP has a number of leading experts in the ares of QuickBooks, accounting, auditing and reporting services, quality control and peer review standards. All of our instructors are leading experts in the topics they teach and have substantive real world experience. They utilize their knowledge, hands-on experience and dynamic teaching skills to develop and deliver training that is both relevant and effective. Michael is one of our partners with many years experience in public accounting. He as provided quality training for firms and various CPE providers all across the United States and has spoken at numerous national conferences. Michael has been awarded the AICPA's Outstanding Discussion Leader numerous times and has also received the ASCPA's Thomas A. Ratcliffe Outstanding Discussion Leader. The current Chair of The AICPA Accounting and Review Services Committee and the ASCPA Peer Review Committee, Michael has experience not only in performing engagements as a practitioner, but also from the administration side of things. Sandra is one of our staff with many years of hands on experience with installing, using and teaching QuickBooks. Not only does she provide one on one training for those who need it, she also leads our QuickBooks classes that are offered many times throughout the year.